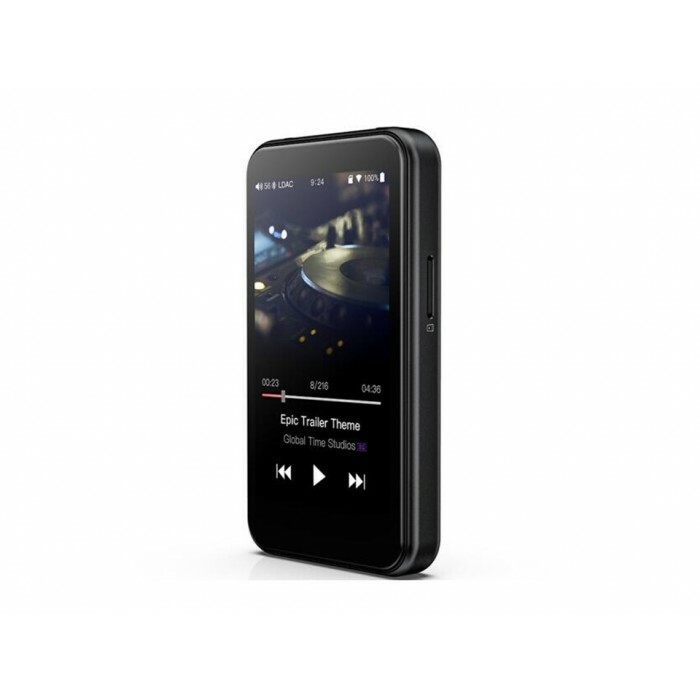 The M6 is also equipped with Wi-Fi, allowing it to access music streaming services, play music over DLNA, and even OTA firmware updates. The M6 comes with dual-mode Bluetooth 4.2, and supports every high-resolution wireless format to date, including: 24-bit aptX HD (backwards compatible with aptX), LDAC, and HWA Hi-Res Bluetooth audio. No matter whatever wireless high-resolution audio device you may have, you can be sure the M6 will take advantage of it. 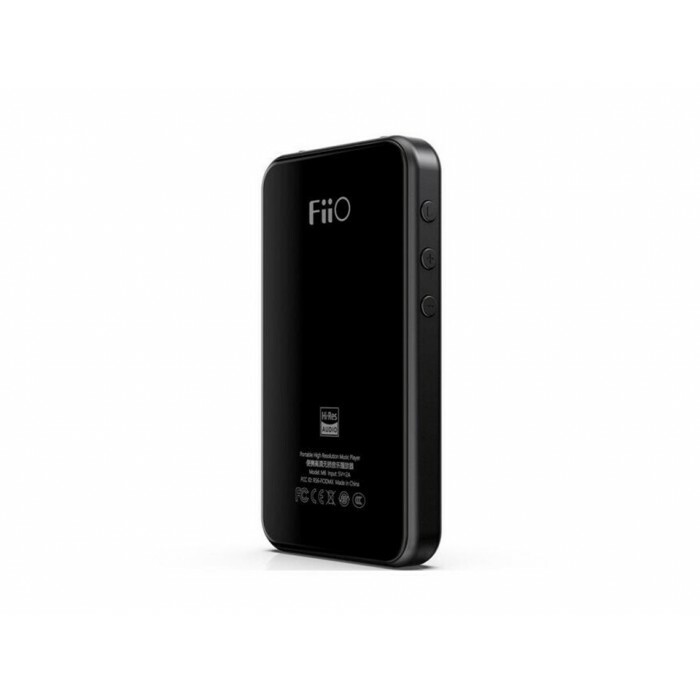 Explore a well-organized user interface with the FiiO-customized Android OS on the M6. Pre-installed apps designed to integrate seamlessly with this interface include NetEase Cloud Music, MOOV, Tidal, and KKBOX. And you can install other whitelisted apps, too. Be prepared to rediscover your old music and discover new songs with these apps! *Currently, only the following whitelisted apps can be installed: NetEase Cloud Music, MOOV, Tidal, KKNOX, Spotify, Qobuz, Roon, Deezer, JOOX, ES file manager, Bandcamp, and Sony headphones. When connected to your computer, not only does the M6 work as asynchronous USB DAC supporting up to 192kHz/24 bit decoding, it can also function as a Bluetooth transmitter of all formats including LDAC, aptX HD, and SBC. When connected to Mac computers no driver installation is necessary, while a dedicated driver is required for Windows computers. The M6 utilizes the same proven high-performance ESS Sabre 9018Q2C chip that combines a capable DDAC and a robust amp in one package, the same as the M7. However, with the M6 we have redesigned and further optimized the audio circuit to squeeze out every last drop of potential from the ESS chip, resulting in 50% higher power output than the M7. Who says we need multiple chips for excellent sound quality when we can do it with just one? 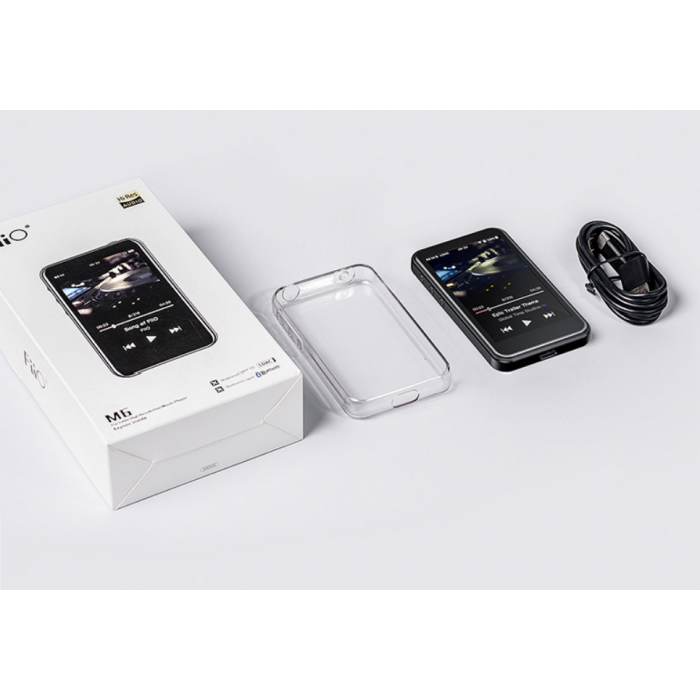 The M6 is the third product from FiiO based on the Samsung Exynos 7270, ans the experience we now have with the platform has allowed us to create a thoroughly modern player. With its cutting-edge components, we have been able to make the M6 as sleek as contemporary smartphones that lends it its stunning appearance in your hand while remaining extremely comfortable. And the M6 is prepared for the future now with its built-in Wi-Fi and full Bluetooth format support. With the M6, you will find an anodized, CNC aluminum alloy body paired with 2.5D glass, for a curvier and more attractive look. The 3.2 inch IPS HD touchscreen is a fast for the eyes with its sharpness, bold colors, and bezel-less design. The easy-to-hold, compact body of the M6 is simple, yet put together specially to meet your needs. Four buttons are placed to help you quickly navigate the menus, while the 2.5D glass provides a smooth yet natural transition between the glass and metal body, and even the charging indicator is subtly hidden in the top right corner of the screen to be informative yet unobtrusive. All of the elements of the M6's seemingly simple design come together to harmonize make using the M6 as comfortable as possible. Despite it being hugely versatile, the M6 comes in a tiny size making it extremely easy to handle. 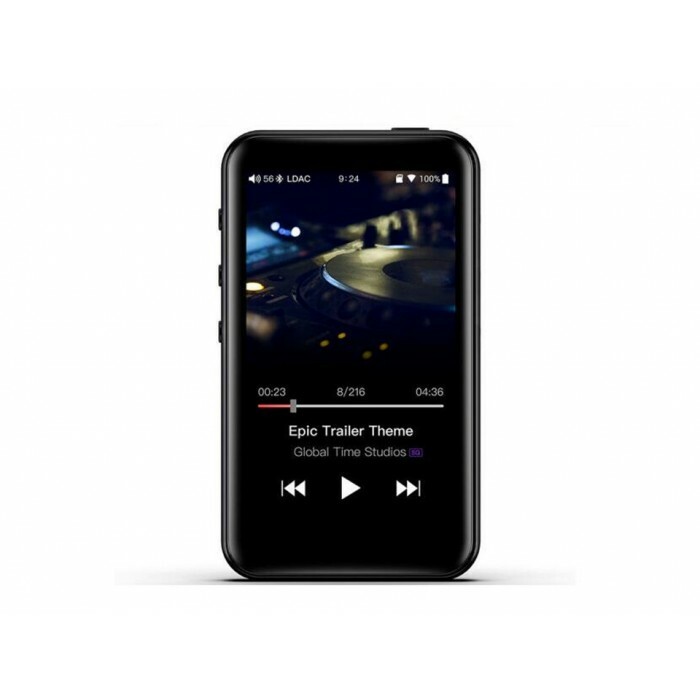 Its mini size also makes it effortless to carry around, making it the perfect musical companion whether you are on your commute or just chilling out. The M6 holds the distinction of having some of the cleanest output of any FiiO player, with a measured signal-to-noise ratio of ≥118dB and a noise floor of ＜3µW, which ensures you won't hear noise on even the most sensitive earphones. The USB audio digital output on the M6 is highly capable-not only does it support output at various sampling rates, it also fully supports DSD with native DSD output up to DSD64/128 and support for the ISO, DFF, and DSF formats. You don't need to stop the music, just connect the M6 as a digital USB jukebox. Fret not about if the M6 can playback your files, as it supports: ISO,DFF, DSF, APE, WAV, FLAC, AIF, AIFF, M4A, WMA, OGG,AAC,ALAC , and MP3 audio formats as well as CUE files and M3U/M3U8 playlists. * dst-encoded DSD files are currently not supported. With a large battery capacity of 1200mAh, the M6 can playback music for more than 13 hours, and last in deep standby for more than 26 days! When in deep standby mode, the M6 saves much power to enhance battery life but can be woken up instantly, allowing you to listen wherever and whenever you want. 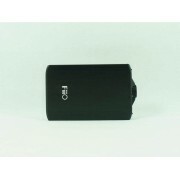 *Deep standby current usage is about 1.9mA. The above figures are based on typical usage conditions. Actual battery life will vary depending on playback volume and usage conditions. You no longer have to worry about not carrying your favorite songs with you, with 2GB of built-in storage and support for micro-SD cards up to a whopping 2TB!! 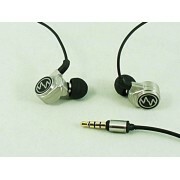 The M6 has been certified to be "Hi-Res Audio" capable, for truly natural and realistic sound. 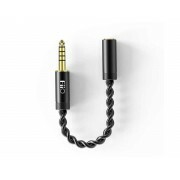 Macaw GT100S HiFi Inverted Dynamic In-ear Earphone With MICDescription GT100s is the first inve..
FiiO SK-M3 Sports Armband For FiiO M3 HiFi Pocket Lossless Audio Music PlayerDescriptionSoft..